The APIA scholarship recipient for 2011-2012 was Sunny Lee. 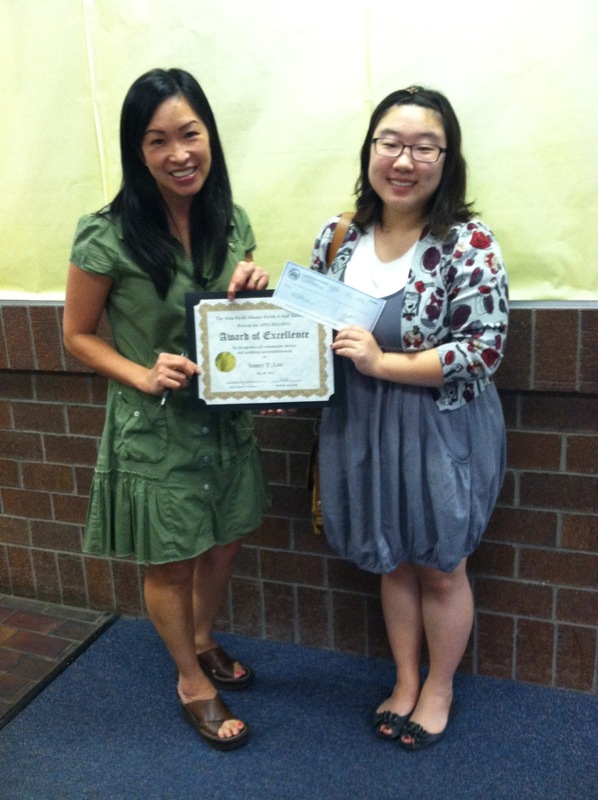 In the photo above, Sunny Lee receives the scholarship certificate and check from Karyn Nguyen, APIA president for this year. Sunny plans to transfer to a four year institution (either a UC or CSU). She has a passion for digital media arts and her goal is to become the first Asian female multimedia artist for Pixar Animation Studios.